Wild Oats XI took the Rolex Sydney Hobart Race line-honours in one of the closest ever finishes. With 2nd Black Jack, 3rd Comanche and 4th InfoTrack after 43 hours of racing. Wild Oats XI continued to flex her sailing muscles, extending her lead and powering towards Hobart at around 14 knots in approximately 8-12 knots of southerly breeze. At this speed, she was one knot quicker than the hunting Black Jack, however the further-back Comanche and InfoTrack caught a freshening breeze, but too late to stop Wild Oats XI taking a record ninth Line Honours title. Mark Richards-skippered Wild Oats XI finished in a time of one day, 19 hours, seven minutes and 21 seconds. It what is becoming something of a new tradition, Black Jack owner Peter Harburg and skipper Mark Bradford are reported to have asked the race committee to investigate, after they claimed that Wild Oats XI’s Automatic Identification System (AIS) — which should be operational at all times — was not on for the entire race. 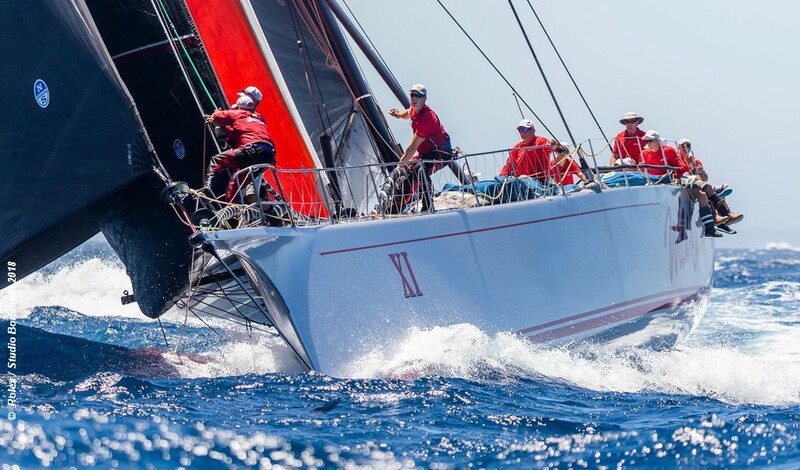 Wild Oats XI was stripped of line honours in last year’s race, for a rule breach with a time penalty handing victory to Comanche. Philip Turner’s Alive, the leading IOR boat, was in fifth place with 60 nm still to go after the four leaders finished.